When the green flag flies for the 2018 Daytona 500, Chevrolet's Monster Energy NASCAR Cup Series teams will officially unleash their newest weapon of choice against the returning Toyota Camry and Ford Fusion. Replacing the oddball yet successful Chevrolet SS sedan (an Australian import that was only sold in the United States), the Camaro ZL1 marks the first time since 2007 that the 'Bowtie Brigade' will be represented by a two-door production vehicle in the Cup Series. The Camaro co-ordinates with Chevrolet's existing model used in the NASCAR Xfinity Series since 2013. Besides conforming to different series rules, the bodies stand apart as the Xfinity Series uses the Camaro SS while the Camaro ZL1 is being used in the 2018 Monster Energy NASCAR Cup Series. 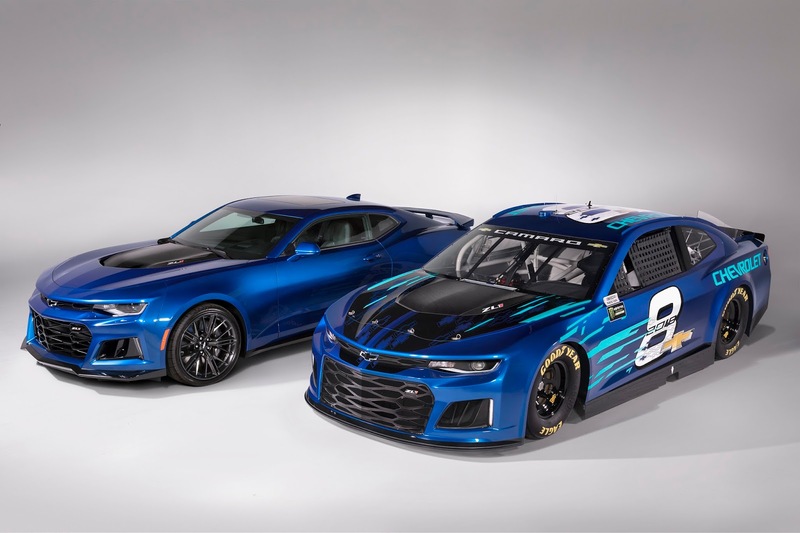 While the Chevrolet Camaro ZL1 enters as a completely-new race vehicle in NASCAR's top division in 2018, it may surprise even keen observers and fans of the sport that the Camaro's 50-plus year history already includes victories in a top NASCAR event. In 1971, a transitional period in what would become the Cup Series saw pony cars claim somewhat controversial victories. As highlighted in the article I wrote about Top NASCAR Greats Who Came Short of a Championship, the premium stock car world was a vastly different place during the 1950s through to the 1970s. At that time, NASCAR's premier series (known as the Grand National Series in 1971) was in a state of transition not that dissimilar to the current state of the sport. The stock car league operated under a points system that favourited tracks that paid higher purses and relied heavily on manufacturer support as additional sponsorship was at a point of infancy in NASCAR (along with motorsports as a whole). With long 40-plus race schedules, some events were as short as 100 miles and paid a paltry sum to the winners. During the early 1970s, the stock car touring faced dwindling money from manufacturers (mainly through Ford Motor Company's decision to withdraw from motorsports in 1971) led to a chain-reaction where remaining top teams had a limited supply of vehicles to provide to smaller privateer competitors. The resulting financial and resource pinch for race teams saw car counts for the lower-paying Grand National events. In order to inflate the field for those races, NASCAR turned to its short-lived Grand American Series. Known as the Grand Touring Series prior to being called the Grand American Series, the NASCAR division was promoted in a similar manner as the Xfinity Series is today. Racing shorter races on several different tracks (including 1/3-mile oval in Yarmouth, Nova Scotia in 1969), the Grand Touring or Grand American Series also featured the Chevrolet Camaro and Ford Mustang. In 1971, six NASCAR events integrated the Grand American cars into Grand National competition for six short track races. Competing against the powerful Ford Torino, Mercury Cyclone and Dodge Charger, the Grand American cars proved to be a match thanks to their lighter overall weight. On three of six occasions in 1971, the Grand National cars were bested by Grand American vehicles. Driving a 1970 Ford Mustang at 0.25-mile Bowman Gray Stadium oval of Winston-Salem, Bobby Allison claimed a victory. The other two wins were claimed by 1963 Daytona 500 champion Tiny Lund driving a Chevrolet Camaro. Lund took victory at two storied NASCAR short tracks first at Hickory Speedway and finally at North Wilkesboro Speedway. The three NASCAR race wins in 1971 by Grand American cars is a point of contention among stock car fans. While the events were part of the 1971 Grand National tour, the wins were not recorded as victories in the major division (although it was registered in records as a Grand American victory). For Bobby Allison, the win was not classified towards his official career total 84 victories. Tiny Lund also receive no credit for the 1971 races. Because of disputed nature of the Tiny Lund wins, Chevrolet Camaro is not yet to be recognized as leader within the NASCAR Cup Series ranks. With the start of the 2018 season, it should only be a matter of time for Chevy's pony car to be acknowledged as a legitimate Cup Series winning model.